Final expense life insurance is meant to cover funeral and burial costs for a person who dies. This type of life insurance is not meant to leave any extra money for the people the deceased leaves behind, it is meant to not leave them with the burden of expenses associated with a death. Here is everything you need to know about final expense life insurance, who should buy it, and how to get the best prices. While most people hate talking about end-of-life issues, it is necessary to plan for them. Getting a good final expense life insurance package can zap that anxiety away. Expenses associated with the death of a loved one, like caskets, hearse, headstone, embalming, etc. can have a major financial impact on those you love. Final expense life insurance can protect your loved ones from having to pay this cost out of pocket. Your family might be overwhelmed with all the thought, time, and trouble that go into coming up with the money to cover your funeral and related costs. Don’t do that to them. Give them the resources they need to take care of your end-of-life expenses without worry. If you’re worried about how you’re going to pay for final expense insurance, just think about how much your family is going to worry when they’re looking at a total cost of $10,000 or more to handle all your end-of-life expenses. That just isn’t right for them to have to worry about right after you died. It’s not fair to them. Everyone will die someday. Everyone knows someone who has died, whether it was sudden or expected. And, we all need to cover the cost of funerals and other death-related items. A lot of people die sooner than expected. Everyone knows a story about someone who died before their time or died in an unpredictable and strange way. We all need to plan for our funeral. At some point in our life, whether directly or indirectly, we will have to confront the difficult financial and emotional decisions of having a funeral planned. Do absolutely nothing. Just let time pass, and let it take care of itself. That is a terrible idea. Someone is going to have to pay for it. Your loved ones are going to have to foot the bill if you don’t have a good final expense or life insurance policy in place ahead of time. Get some form of life insurance. Final expense insurance is an excellent option. It will take care of all your immediate end-of-life expenses. Set up a pre-arranged burial plan with a funeral home. Option one isn’t really an option. That’s not a good thing to do to the people you leave behind. Is that really what you want them worrying about when they should be trying to come together and heal? Option two is the best choice by far. Your family will have a lot of options and plenty of money to handle your funeral and burial expenses. They will have the flexibility and options available to them to handle your end-of-life experience in the way they see fit. Option three is not a great option. It is probably going to be cheaper to just get final expense insurance if you’re already very old. You can go down to a funeral home and purchase your whole funeral and burial in advance. This can be very expensive. A funeral can easily cost someone over $10,000, and depending upon the reception, grave-site, casket, and the cost to facilitate everything expenses can go much higher. Option two is ultimately the best decision. You can still have the burial and funeral done exactly the way you want it at the funeral home of your choosing. The cost will be the same, but with final expense insurance, you will just make tinier payments while you are alive. This could save you thousands of dollars in the long run. The only choice that makes sense is option two. When most people think about life insurance they think of having a policy that will replace their income after they pass away in order to help their surviving loved ones. However, life insurance policies are not always about replacing income. Many people do not realize how much funerals and burials actually cost. These final expenses can be quite large, which is why it is important to understand different life insurance options such as final expense life insurance policies. When it comes down to it, the real point of life insurance in general is to make sure that your loved ones are taken care of after you are gone so that they do not have to drastically change their lifestyle. If your family is faced with paying unexpected bills after you pass away, it could cause them to have to make difficult financial decisions that they are likely not ready for. Some people have a clear idea of how they want their funeral or burial to be, while other individuals do not care one way or another. Whether you have the perfect funeral planned or simply do not care what happens to your body after you die, it is still important to note that any type of funeral that is planned for you will not be cheap. According to the Federal Trade Commission the cost of the average funeral is well over $10,000. The cost of a funeral is not something that you want to leave to your family to come up with. Most people cannot afford to spend that kind of money all at once. If you do not want this burden to fall on your family and you do not have the cash ready to pay for your cremation or burial and you do not want your estate to be demolished by the costs incurred by your death, final expense life insurance policies are there for you. A final expense life insurance policy is also often called burial insurance. This type of insurance policy is designed to pay any costs that are associated with your death. The amount that the insurance policy pays out depends on how much you pay for the premiums during the life of the plan. A beneficiary is named for the policy and this person will be able to use the payout from the policy to pay for the funeral costs, probate, and any outstanding debts that you may have. If you die and do not have insurance or any savings, someone else will have to pay out of their own pocket for your funeral and other expenses. Losing someone you love can be a terribly difficult experience. We all know that. Not having the money to take care of final expenses can make it a whole lot worse, though. A life insurance policy just isn’t enough. Final expense insurance takes care of that big financial burden associated with death. Picking up the pieces while dealing with emotional stress can be too much for some people. There are so many expenses associated with death, and most families have trouble coming up with the money quickly. Final expense insurance can save families the additional trauma of having to withdraw from their checking or savings account or even selling precious assets to come up with the necessary money needed to bury and take care of a loved one who has passed on. Final expense insurance is a must-purchase item if you care about the mental health and welfare of those you leave behind. Do you really want your spouse or children worrying about how they’re going to cover the cost of your funeral and burial? Final Expense Completely Taken Care Of – A policy that can pay $25,000 or more in cash, tax free, to help provide for your final, as well as any other, expenses. Protect Your Family – No more worrying on the part of your family about expenses associated with your death, like caskets, cremation, embalming, funerary services, etc. Final expense insurance can take a big load off your loved ones’ backs by protecting them from having to pay these expenses out of pocket. No Family Drama – The emotional toll on those you leave behind will already be high. There is no reason they should have to worry about financial things, too. Why add to the stress and sadness they’re already feeling? Knowing that all your final expenses are taken care of will make the whole process a lot smoother. Financial worries can cause infighting in the family, too. Who will pay for what? Peace Of Mind – The average cost of a funeral is nearly $10,000. It might be more, though. If you get a policy that covers much more than that, you can take care of almost anything associated with the death of a loved one. Final expenses can quickly spiral out of control. It helps to have a solid, high-paying policy in place. If you don’t have final expense insurance, your family could be suffering needlessly. Worry-Free Family – Your family won’t have to worry about money at all when you pass. There won’t be sibling rivalry, scrambling for money, or infighting. The focus will be on the family, not on money. Planning for the end of your life is not pleasant. No one wants to do it. But, the thought of leaving your loved ones to take care of your final expenses isn’t pleasant, either. In some cases, financial obligations can delay settling up on your estate. Think about these five points about final expenses and how final expense insurance can help pay for them. Funeral costs are always going up. Caskets and headstones are just part of the expense outlay. You can read more about the complete expense outlay in the table below. There are transportation costs, clergy donations, ceremony fees, and a whole lot more. Funerals may be the biggest final expense, but they’re certainly not the only one. Household bills, unpaid medical bills, and outstanding home loans all have to be paid. Credit card balances and utility bills are just some of what you have to think about. There are many unplanned financial expenses and other things you have to think about. There’s a whole lot that’s going to come up when someone dies. You may have come up with a will or estate plan without thinking about the final expense costs. It might just be now becoming clear that final expenses can take a toll on the bank accounts of loved ones. A final expense policy may make sense and the cash payout can help your beneficiary with some of the financial costs left behind like every day costs or estate taxes. There are lots of medical costs in the last months or years of life that might not be covered by health insurance. If your life insurance is a permanent policy, also called whole life insurance, that accumulates cash value over time, you might be able to access this cash value to help pay the medical bills. You’ll probably be able to get no-medical exam final expense insurance. You might just need to answer some simple questions over the phone. However, if you lie, your claim might be investigated and denied after you die. We came up with this handy chart to help you see just how expensive death expenses can be. If you think you and your siblings will just be able to come up with money easily, you’re probably in for a surprise. Once you take a look at this chart, you’ll see why final expense insurance makes a whole lot of sense. After you die, you won’t have to worry about anything else. You won’t have to worry about your bills…but somebody will! Why put your family through all that? Why force them to pay money out of pocket? Final expense insurance is a no-brainer if you don’t have whole or term life insurance already. As you can see from the table above, dying is very expensive. No matter what statistic you look at, the number is high. Some put it as high as $20,000 or more. The National Funeral Directors Association puts it around $8,000, but there are sometimes unrelated, optional, unexpected, or closely associated costs. Cemetery expenses have to be considered, too. The total cost can be pretty exorbitant when all is said and done. Think of this, too. The average American owes about $10,000 in credit card debt already. That doesn’t include what’s due on your home, as well as other legal and estate stuff. All these things add up a big financial mess that can take several years to pay off. You don’t want to put your family in that position. Final expense life insurance can take that concern away from your family, letting them mourn you and handle everything else without having to worry about where they’re going to come up with the money. Final expense life insurance is a specific type of insurance policy written for a very specific purpose: to take care of your funeral costs and other small debts lingering around after you’re gone. Most policies don’t pay out that much. They range in payout from several thousand dollars all the way up to a maximum of $50,000 to $75,000. That is a whole lot less than a term or whole life insurance policy. Of course, there is nothing unusual about that. These policies are only intended to cover short-term and final expenses, and not final and ongoing expenses like retirement or college. A final expense life insurance policy gives your family the peace of mind to know that your funeral and burial expenses will be taken care of after you’re gone. Opportunity To Control The Future – With a final expense life insurance plan, you can rest easy with the knowledge your final arrangements will be taken care of – and your family won’t be burdened with unexpected expenses. Determination Of Coverage Amounts – Coverage amounts range from $1,000 all the way up to $75,000. Decide How Long You Want To Pay Your Premium – You can choose a whole life insurance option or pay for a certain amount of time. Final expense life insurance is usually a form of permanent life insurance. With almost no exceptions, final expense insurance is actually whole life insurance, which is a type of permanent life insurance. Unlike term life insurance, which just pays out a death benefit if you die during the period of time you have the policy, like 10 or 20 years, a whole life insurance policy will stay in effect as long as you continue to pay your premiums every month. You can use whole life insurance for a number of things. There are a lot of different reasons people choose to buy a whole life insurance policy. Whole life is a great planning tool that can offer a simple solution to many financial problems you may have. What would happen to your loved ones if you should die before your time? How would they pay for burial costs, unpaid medical bills, or routine expenses like food, transportation, healthcare, and clothing? Where would they be without your income. That’s where a whole life insurance policy comes in. It’s important to remember the difference between final expense insurance and whole life insurance. Final expense insurance isn’t going to pay for that ongoing expense. Your family will have unique financial needs that call for a custom package – one that is set up to give you flexibility. You can tailor your policy to help you meet a number of needs. Mortgage Protection – Do you currently own a house that has a mortgage on it? How will you pay it off after you die? Buying a whole life insurance policy for the cost of your mortgage and any other unpaid debts will help take some of the financial burden off your family who are left behind when you die. Are they really going to be able to survive without your income? Funding For Retirement – Over a long period of time, you may discover you no longer have much of a need for a death benefit. You may come to the conclusion that all your final expenses have been completely taken care of. You can take policy loans and surrenders from the stored cash value of your whole life policy, and you will be able to supplement your retirement income. That is a sweet deal for many older people in retirement who just aren’t making enough money from social security and who don’t have enough saved up. Many people take out loans and surrenders from their accumulated cash value. Funding For College – We all know how important education is. It is very important and very expensive. You can help with that financial burden by taking out policy loans or surrenders to help fund your children’s education. Estate Planning – Buying a whole life policy is sometimes used to help with estate taxes and costs. This can help your loved ones because they won’t have to sell their stuff or borrow money to cover those costs. Charitable Giving – You can also name a charity as a beneficiary on your whole life policy. It is a very effective way to make a big donation to your favorite charitable organization. Final expense insurance will typically pay out about $10,000. Coverage might be as low as $1,000 and as high as $50,000 or $75,000. Most of the time, the number is not that high. It is important to remember that final expense insurance is not for long-term costs like college or retirement living. It is just meant to cover the expenses and short-term debts in the immediate aftermath of your death. The majority of companies won’t require you to get a medical exam to get the policy. However, most of them will have applications with several health questions. If you are in good health, you may be able to qualify for a life insurance policy that pays the whole amount of the policy from the time it is issued. Final expense policies are usually handled with simplified underwriting, and applicants will merely need to answer a few basic questions about their health, but won’t be subject to a medical exam. Since there’s no medical exam, it means almost anyone can qualify for final expense coverage, and so the cost of final expense insurance can be as high as 20 times the amount of a fully underwritten term life insurance policy. Final expense policies tend to bring in the really unhealthy people, so they are usually a bit more expensive. Healthy people can get better deals through completely underwritten products. Final expense insurance really shouldn’t be purchased unless you think you’re going to die in the next five to ten years. The cost is so high that you might be better off just saving the money. Final expense insurance is usually sold as a last resort to the old, unhealthy, or at risk. However, simplified underwriting doesn’t mean a final expense policy is a shoe-in. Applicants might still be rejected if they disclose they have a deadly disease, use illegal drugs, or have been hospitalized for an extended period in the last year. Not disclosing an illness can put you in jeopardy. If someone is aware something is wrong with them, buys a policy and then passes away shortly after, the claim may be investigated. Still, there is sometimes a huge misunderstanding among applicants about no medical exam life insurance. What you have to understand is that they aren’t all what they appear to be, and they can mean different things from one company to the next and one policy to the next. So, let’s very quickly summarize what each one. Let’s look at the four main types of no medical exam insurance. Read about them in more detail below. Simplified Issue Insurance – This one is usually referred to as no exam medical insurance. It has very strict underwriting, so you have to be healthy to get in. Guaranteed Issue – This is the type of insurance that doesn’t have an exam, and there are no questions, either. It is issued, guaranteed. Anyone in a specific age range can get it. Graded Death Benefit – This type of policy offers graded protection. What that means is that the full death benefit doesn’t actually get sent out in the first couple of years, but it will gradually increase over time. Level Final Expense – This is a whole life insurance final expense policy. You will pay a steady premium for the rest of your life to cover any final expenses. You usually have to answer a health questionnaire, but there is no exam. Who Qualifies For Final Expense Life? Almost anyone can qualify. Since there’s usually no medical exam, the cost can be quite high. It might be better to wait until you’re older to get a final expense policy. However, there are some people who just won’t qualify. While admittance is easy for most people, there are some that just won’t be able to get coverage. Read below to learn more. Some people might not qualify for final expense insurance. People in hospice care, those who are hospitalized, some in a nursing home, those 90 or older, and other vulnerable people might not qualify. Sometimes, a policy will disqualify anyone over 80 or 82. Different companies have different policies and age thresholds, so be sure to check out a number of different companies to get the best deal. Some might cater to very old people who can’t get coverage at a good price elsewhere. That’s the company you want to work with if you’re very old. If you’re employed in a dangerous vocation, have risky hobbies, or have a serious medical condition or ailment, you could be disqualified. If you’re currently in the hospital for something serious, or you’ve been hospitalized for a number of weeks in the past year, or you’re living in assisted living or retirement home, you might be disqualified from getting coverage. Shop around so you can get the best policy for your age, health, and final expense plan. Watch out for special clauses in the contract. It seems smart to just rush into a policy if you think you might die in the next year, but some companies have contestability clauses in their contracts. What that means is that a company or insurance agent has the right to contest the payment of a death benefit and void the payout if the policyholder dies within the first two years of coverage. Who needs whole life insurance coverage? If you want to ensure your loved ones are taken care of after you’re gone, whole life insurance might be a good idea. Whole life insurance will pay your beneficiaries a certain amount upon your death. The big difference between term and whole life insurance is that term provides coverage for a limited period of time (like 10 or 30 years), whereas whole life insurance will pay out as long as the premiums are up to date. Once whole life coverage has been set up, it can’t be taken away – like revoked, canceled, or reduced. The only way that could happen is if there was fraud or non-payment. So, whole life insurance is a lot more appealing because it offers a level of security and certainty you can’t find anywhere else. Lifetime Protection – It won’t lapse or go down in value. It covers you for life. Steady Premiums – The amount you pay for your policy will never go up. Cash Value – A small amount of your premium will build cash value, which can then be borrowed against. Guaranteed Death Benefit – Your loved ones will receive a certain amount of money, guaranteed. You can cash in on a life insurance policy. You might be able to access the accumulated cash value on your life insurance policy. One way of accessing your cash value is to withdraw a certain amount of money from your life insurance policy. The amount you can withdraw will differ depending on the kind of policy you have. Withdrawals are typically tax-free, but may be subject to a surrender charge. You can also surrender your entire policy for it’s cash value. One alternative to withdrawing cash is to take out a loan. The interest charged on the loan is at a lower interest rate than that charged by the banks. But, even though the loan does not have to be repaid before your death, any unpaid balance on the loan will be deducted from the death benefit. A lot of older people have trouble coming up with money for certain late life expenses. If you’ve been paying into a whole life insurance policy for a long time, then you should be able to take out a loan on it at a very low interest rate. That’s ideal for older people who can’t get loans at good interests in other ways. If you’ve been paying money into a life insurance policy for a long time, you deserve to be able to make some money off that. Insurance terminology can be really difficult to wrap your head around. It can be frustrating, intimidating, and confusing trying to figure out what all the jargon means. It doesn’t have to be confusing, however. We’ll try to make it simple. Ok, let’s talk about something that a lot of people have trouble understanding – dividends. Dividends sound really confusing, but they’re actually not. Let’s start from the bottom and work our way up. First off, every single insurance policy is a contract, and that just means it is an agreement between the policy owner, which is you, and the company, which is the insurer. That part is not that hard to figure out. The contract comes down to this: you agree to pay a premium for a certain amount of insurance, and the insurance company will pay out the face value of your policy to your beneficiary when you die. So, the participating element in this situation refers to your profit sharing with the company. Participating policies are often a whole life insurance policy that pays dividends. A dividend is a portion of the insurance company’s profits that are paid out to policyholders as if you were a stockholder or investor. The policyholder is usually offered many choices of what to do with the dividends when they’re paid out. Take It Out As Cash – The insurer will send you a check for whatever the dividend is. Premium Reduction – The dividend amount can be deducted from your premium. Savings – Dividends can be left with the insurance company to earn interest. Buy More Insurance – Can be used to buy additional paid up insurance. Who usually purchases a final expense policy? Even though people of all ages can typically buy final expense insurance, this type of coverage is mostly sold to senior citizens. Due to this, a final expense policy can be an excellent alternative for more traditional types of coverage – especially if a senior citizen has already been denied coverage elsewhere. The short answer is that anyone and everyone should buy final expense insurance. Everyone is going to die, and final expense insurance can take care of something that every family will have to deal with. If you want to save your family the trouble of dealing with your end-of-life costs, go ahead and purchase final expense insurance. Keep Your Loved Ones Free Of Worry – If you make your funding plans ahead of time, you won’t place a heavy burden on your loved ones after you die. You Won’t Worry – You’ll take comfort with the knowledge that your funeral expenses are taken care of ahead of time. Exempt Assets – The final expense plan might be classified as an excluded asset so you can qualify for Medicaid and SSI. Flexibility – Your beneficiaries will have the money they need to take care of any expenses that come up, from medical bills to other small-time debts. The Value Of The Fund Will Increase Over Time – When you put aside funds in advance, the death benefit will increase at a predictable rate of growth, just like a savings account. Tax Time Will Be A Lot Easier – If you transfer funds from an investment, you won’t have to worry about taxation or growth. A Custom Plan For Everyone – Your insurance agent will have a plan that suits your needs specifically in terms of cost and health conditions. Customer Friendly Plan – Any funds that are left over after paying your funeral costs will be sent back either to you, your beneficiaries, or your estate. Make sure that your plan offers this, though. All plans don’t have it. Window Of Consideration – Check to see if you have a window of time where you can change your mind. Some plans offer 30-day money-back guarantees where you can cancel and get a full refund. Good Idea – It’s just a smart move. Advance planning is endorsed by lawyers, trust officers, and financial service professionals as a smart way to provide for final expenses and preserve your wealth for your beneficiaries. Simply put you need life insurance. While you don’t have to be a certain age to purchase final expense insurance, you should probably be a senior citizen before you buy it. 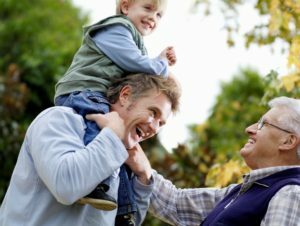 For people under 60 years old who are not disabled or have a pre-existing condition, a term life insurance policy or very small whole life policy is usually a more cost effective solution. You’ll save money. However, if you want to be absolutely sure, you can purchase it as a middle-aged adult. Burial expenses will probably rise over time, so a small whole life policy again will almost always make more sense unless you have a terminal disease. If you have a family, there is no time too soon to purchase it. But, you might be better off with a whole life insurance policy. Burial insurance is quite expensive, and it is usually better for the very old. You might be better off saving that money every year, because the premiums can be so high. Since almost anyone can qualify, people have to put up a lot. How Much Will Final Expense Insurance Cost? The cost of a funeral and related expenses continues to rise, and that means the cost of final expense insurance is more than it used to be. The average funeral cost now is around $8,500. But, $10,000 might be a better estimate. However, if you add in additional fees for cemetery, flowers, obituaries, headstones, monuments, etc., the cost can rise to $14,800. If you project out at about 5% inflation per year, the average cost by 2030 would be about $18,200. So, better be safe than sorry and get about $25,000 worth of coverage. Your family will be able to throw a funeral in style with that kind of dough. In all seriousness, though, it will give them the money to send you off the right way without any trouble or scrambling. You want every single expense taken care of – from the hearse to the headstone. That is the best way to approach your end-of-life expense. You don’t want them pooling their money together to throw you a terrible little funeral. This is the last impression many people will have of you. Shop A Number Of Different Companies – When you’re shopping for final expense insurance, it is a good idea to work through a company that has access to more than just one insurer. If you do this, you can get policy information and premium quotes from a number of different insurance companies, and you can see exactly what you have available to you. You will begin to see that the rates for final expense insurance can vary a great deal from one company to the next – even on similar amounts and types of final expense insurance coverage. Find A Good Payment Plan – Most plans are paid on a monthly basis. However, you can pay them once per year. That might work out to a cost savings in the end. Most carriers don’t accept credit cards, but they might charge a small fee if they do. Check Out Reviews Online – A lot of companies will have reviews posted online from previous customers. Take a look at the most positive and most negative reviews. If you read through all these reviews, you can pick a company that has the history, experience, and reputation you need. That will definitely go a long way in making the decision less stressful. Check to see if your carrier has an AM Best “A” rating. That will let you know if they can pay out their policyholders. Plan Your Own Funeral – This is a big tip for saving burial and funeral cost money. Our loved ones sometimes want to give us a great funeral even if they can’t afford it. If you plan your own funeral and burial, you can pick how much money to spend and buy insurance as necessary. If you can handle all of the funeral planning, then you’ll know exactly how much everything will cost. That also takes care of a lot of difficult stuff for your family. Even if they have the money because you purchased a final expense life insurance policy, why should they have to plan everything? If you’ve got free time, consider planning your own funeral and mapping out the whole process. What Is Your Health Like? – Make sure you have a crystal clear understanding of your past and present health. If you have a serious health issue, you might not be able to get final expense insurance. If you lie on the telephone or application, your claim could be investigated upon your death. You don’t want your children to have to come up with the money because you lied when you got a final expense plan set up. It’s always safer to just tell the truth and work with a provider who will take you as is. Or, look into another type of insurance policy. These tips will help you get the best deal on your final expense insurance policy. Why pay more than you have to? If you just spend a little more time shopping around, you can get a much better deal. Coverage can be gotten relatively quickly. A lot of the time, there is no medical exam required. Almost anyone in a certain age bracket with no serious medical conditions can qualify. How Long Will You Need To Make Payments? You will usually need to make premium payments for as long as you want the policy to stay in full force. If you stop making payments, you could lose your coverage. If you let your coverage lapse, they can cancel your policy, and you’ll be out of luck. If you purchase final expense life insurance early enough in life, and your dividend payments are high enough, you may be able to have your dividend payments cover your cost of insurance and you may not need to make additional payments. Final expense insurance is a must-buy item for you and your family. Do you really want to leave them hanging after you’re gone? You want them to come together for a time of grieving, healing, and love. You don’t want to complicate that with a lot of financial infighting and negotiating. It can really ruin your funeral and mar your memorialization.